Head of the Queen facing left. Surrounded by the divided legend: VICTORIA QUEEN. All within a raised, toothed border. The value in English and Persian: ONE RUPEE in Persian script (Yek Rupiya; translation: One Rupee) All within a wreath of laurel. Around this the legend: EAST INDIA COMPANY 1840. All within a raised, toothed rim. 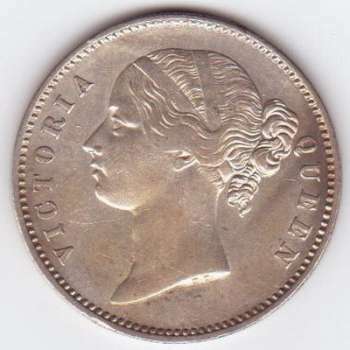 They were only issued from the mint of Calcutta, with total mintage of 179,935,000 pieces. 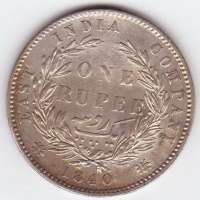 Sir, I have two types of Orginal 1840 Victoria Coin issued by East India Conpany, which circulated in India, I want to seel my these two coin kindly send me necessary message through said Email address. What procedure which I follwed to sell this for esay to me . My Odisha(India) mobile No.0 8338900540. An reply in this regard is urgently awaite from your end.